A few weeks ago, Connie was noticing that there were little chew marks on some of the newly emerging seedlings- a sure sign of rodents. 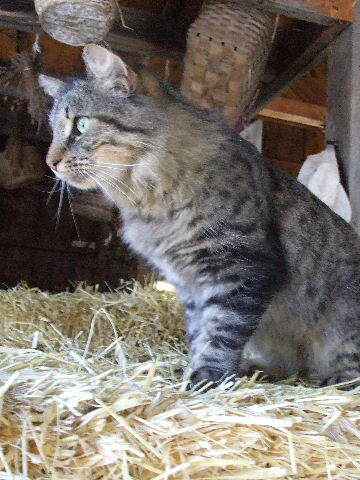 So our resident mouse-catcher extraordinaire (and all around farm mascot) was put back to work! He spends the winter living the good life at Connie and Ron’s home, but now he’s back earning his keep and keeping all of our vegetables protected. 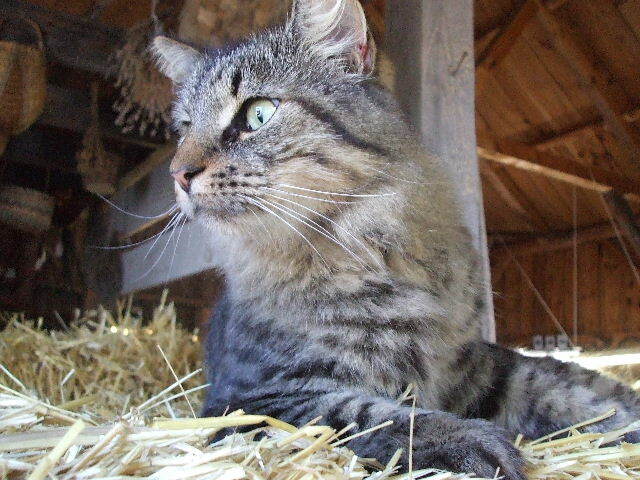 He’s at the farm now eager for attention, so come on by and give him a scratch on the head. This means Simba Sundays will be starting back up, so if you have any pictures, feel free to send them on along to us! 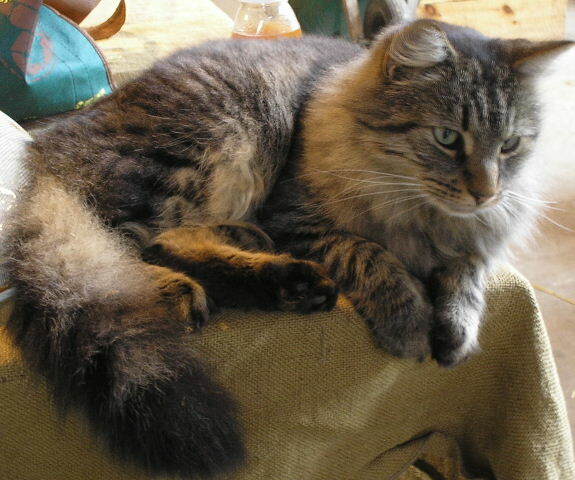 Isn’t he a beautiful kitty! Simba’s always able to find a comfortable spot.